Unsigned, undiscovered and under-the-radar music, as recorded at The Hay Festival. Musician and poet Vinny Peculiar (AKA Alan Wilkes) has released 13 albums so far, which he considers as "outsider pop music". His various bands have included ex-members of The Smiths, Oasis and Aztec Camera. His latest album pays homage to his time as a former nurse and recalls visiting his late brother who was schizophrenic, spending a lot of time in mental health and learning disability units. Vinny was tutored and inspired by Clifford T Ward at North Bromsgrove High School with Tom Robinson later saying "Vinny Peculiar songs make you laugh, cry and think at the same time". "A complete wordsmith whose albums you have to listen to time and time again." - Andrew Marston. To celebrate this year's BBC Music Day, we've been in Redditch putting a blue plaque on the side of the house which was once the home of the Led Zeppelin drummer, John Bonham. He was chosen for the honour by listeners of BBC Hereford and Worcester, and it was unveiled by his sister, Deborah. Dr & The Medics are just one of a handful of bands performing at Stoke Prior Sports & Country Club for this annual gathering. This will be the 15th anniversary of the event, from the team that are also being Onboard The Craft. Stoke Prior also hosts Beermageddon and Breaking Bands every year. We'll be at the event bringing you all of the highlights. Among the bread, cheese and cider at the Field To Fork day at Yarkhill, near Ledbury, there was a smorgasbord of live music to satisfy your appetite. Last year, the organisers managed to raise £1,000 for local community projects and £5,500 for the Megan Baker House. Artists on stage included BBC Introducing favourite Neil Ivison and members of the Hereford music community, Livewire. 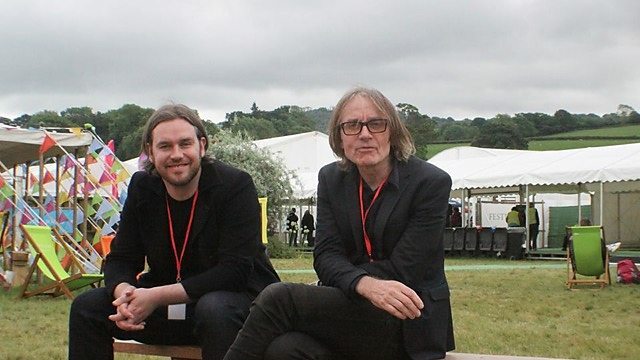 This month's sessions were recorded in the BBC tent at the 30th anniversary of the Hay Festival. The 11-day event now has offshoot festivals which take place all over the world, showcasing famous scientists, authors and entertainers in a field on the Herefordshire/Welsh border. Other musical acts on the lineup included Will Young, Brian May, Amy MacDonald, DJ Yoda, Norman Jay and Craig Charles. There were also appearances from Eddie Izzard, Andy Parsons, Sir Ken Dodd, Stephen Fry, Graham Norton, Bill Bailey and chess champion Garry Kasparov. What a packed weekend it's going to be at Eastnor Castle this Saturday and Sunday - as they welcome not one, not two, but three headliners! Tonight sees Sir Cliff Richard take to the stage before Michael Ball and Alfie Boe team up for a Father's Day extravaganza. The 32nd Upton Jazz Festival returns this year promising a variety of musical performance across the town. Now entering its fourth decade, the organisers promise improved camping, a bigger choice of stalls, food and drink, plus free car parking.